Batman’s butler hates it when people sneak into the Cave. Like, a lot. The third issue of Batman/Teenage Mutant Ninja Turtles—written by James Tynion IV, with art by Freddie Williams III, Jeremy Colwell and Tom Napolitano—is out today, featuring a tense meeting between the title characters. 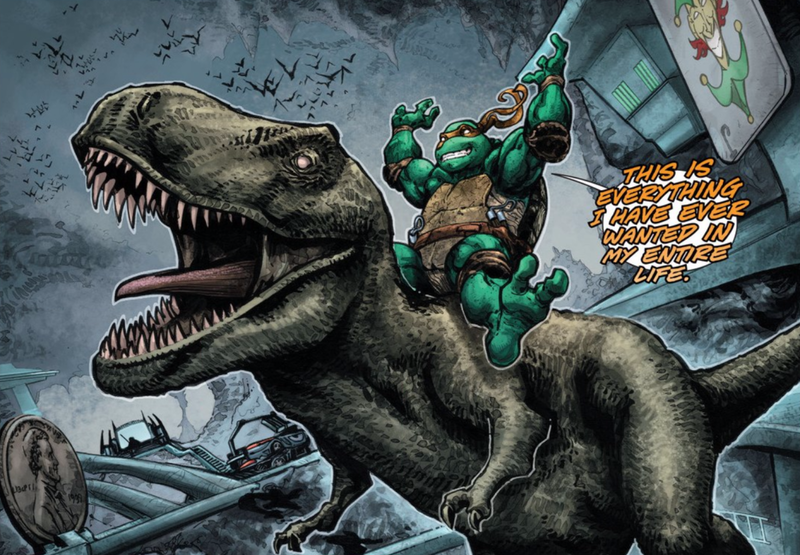 Based on the title alone, this series may sound like the worst kind of marketing-driven crossover, but Batman/TMNT has been a well-done series. It blends the action, humor and menace of the individual properties in a fun way, without making either one seem out of place. He only needs one hand to make it, too. I mean, that just feels like what Mikey would say, right?